Fairfield Imaging Centre, a Sydney-based radiology practice, has recently installed a new GE Definium 6000 DR system. 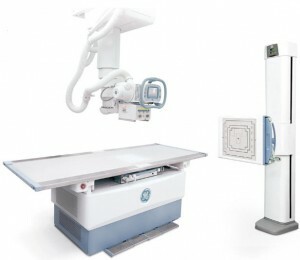 The Definium 6000 is engineered to combine simplicity and reliability in digital radiography with wide clinical coverage. As such the practice now boasts one of the most modern radiology services in the country. According to GE, the Definium 6000 is energy efficient and highly recyclable, being one of the GE family of ecomagination products. These products are designed to help solve the world’s toughest environmental challenges. GE claims that their digital X-ray rooms are designed to replace two analog rooms, saving energy and space and avoiding water and chemical use for film processing, while maintaining the same imaging volume. By utilising the methodology contained in NCRP Report 147, Health Physics (www.healthphysics.com.au) was able to tailor a shielding design in compliance with NSW EPA and ARPANSA statuatory requirements, at minimal cost to the client. Staff are now able to work confidently in the knowledge that their occupational exposure to CT scatter x-ray radiation is as low as is reasonably achievable (ALARA). &COPY; Healthcare Imaging Services, North Ryde, NSW.